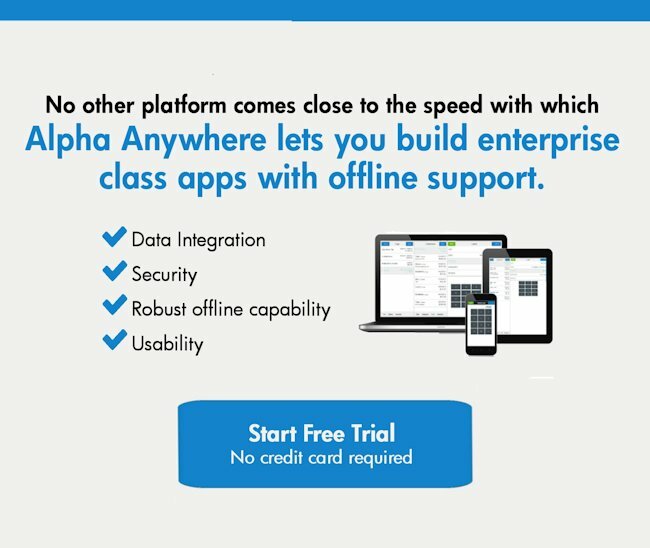 How does Alpha Anywhere compare to the competition in mobile and web app development? 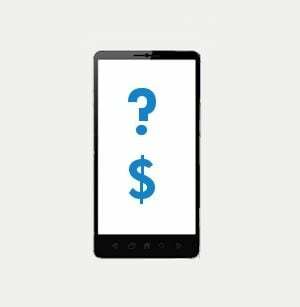 Choosing the right mobile app development tool can be difficult. Businesses custom mobile application needs vary. However, there are some common mobile app requirements among enterprises. 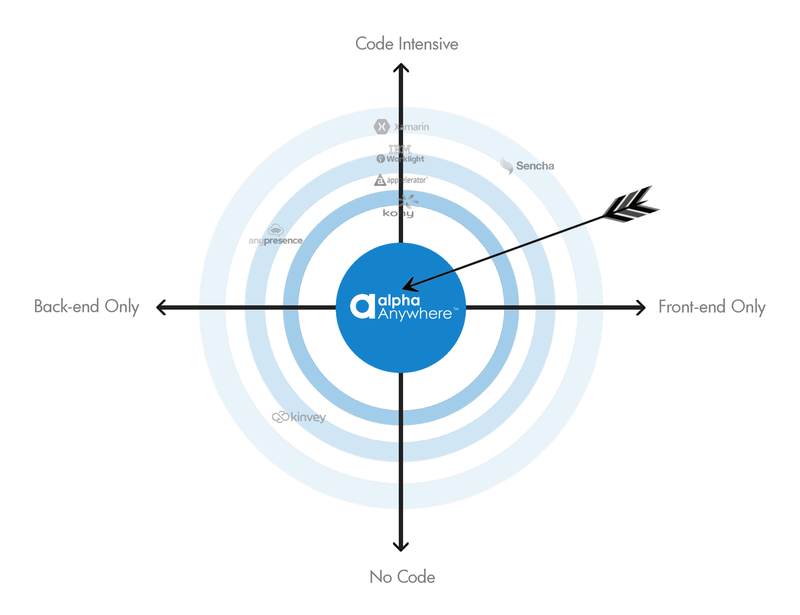 We came up with this graphic below designed to explain why Alpha Anywhere's mobile application development platform hits the sweetspot for many people who need to build secure, offline capable enterprise class mobile and web apps rapidly with flexible integration with databases and applications. 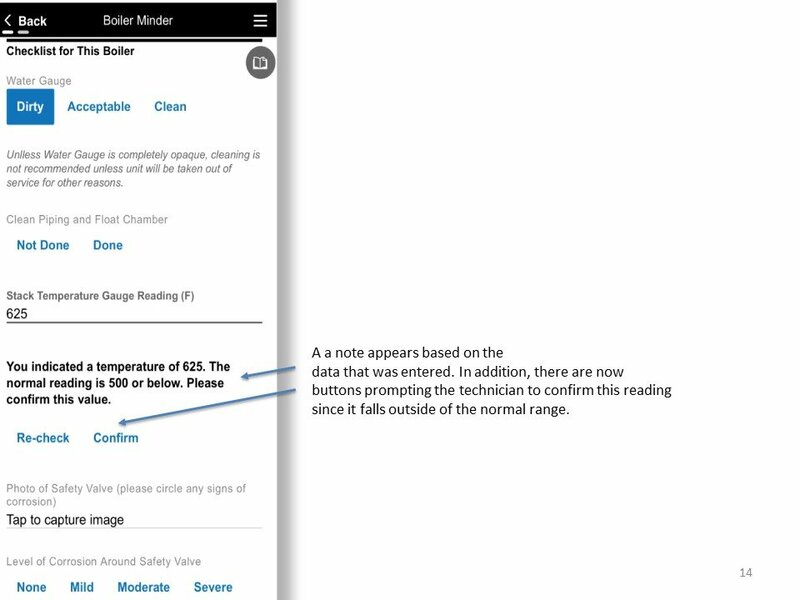 At Alpha Software, we want our mobile app development software to make building enterprise-quality mobile apps easy without sacrificing the must-have features your business needs. "we need to build rapidly and we need the platform to be relatively easy to learn"
"in order to build rapidly we need a single platform that does it all and where the front end is aware of the backend and vice-versa"
"we need to be sure the platform has sufficient power and extensibility so that we can be confident that the platform will not run out of steam before the job is able to be competed." In addressing this set of criteria - we came up with two very important axes.